​For many dog owners, considerations regarding the purchase of a new home are strictly relegated to humans. Whether your dog is small or average sized, they simply will learn to adapt to their surroundings regardless of which style of home you choose. However, owners of large dog breeds know that their pup must be considered before settling on your home of the future. Primarily due to their size, big dogs warrant extra thought which may not be typically required of owners with small or medium-sized dogs. If you do not have a choice and must live with a large dog in a small space, Orvis has some tips for you. Otherwise, heed these considerations when it comes to choosing a proper house for you and your pup. ​The first thing many people notice when they see a potential home for the first time is the yard. Whether it be in the front, back, or both, owners of large dog breeds would be wise to invest in a property with a substantial plot of grass included. Canidae pet food compiled their own list of criteria to consider when choosing a home, and they point out that large dogs need plenty of exercise, particularly if they are a breed equipped with an energetic temperament. Work responsibilities mean that, for many, walking their dog several times per day is not feasible without hiring a dog walker, which is never a bad idea. However, the expense of outside help can be avoided if a home with an adequate plot of land can be found. With a fence and a doggy door, your pooch may be able to get all the exercise it desires while you are on the job. It cannot be overstated just how valuable a yard is not only with respect to your dog’s daily happiness, but your own pocketbook. ​With more millennials buying homes – and the reason for many home purchases being driven by their dogs’ happiness – it is clear that new homeowners want a house that will suit not only their needs, but their dog’s as well. The yard is perhaps most important, but the interior of the home must be considered through a dog’s view as well. Depending on your dog’s age, stairs may be wise to avoid, as they can be taxing. If you do decide to purchase a two-story home, one in which the primary living areas are on the ground floor is best. If your dog is in good health, it may enjoy the stairs as yet another way to expend its boundless energy. If you cut your dog’s nails infrequently, wooden floors may want to be avoided. Light-colored carpeting, or any carpeting at all, may also want to be avoided if your pup tends to track in a mess. A house with tight hallways and spaces may be more liable to damage if your dog tends to be a bit clumsy. Larger crates and beds mean that a sufficient area for the dog to sleep in must be a feature of your house. ​Once you do settle on your new home and have adequately prepared your friend for the move itself, it’s time to make your furry friend feel comfortable by bringing some of its favorite toys to the new property, taking it on frequent walks to acclimate it to the neighborhood, and introducing it to the neighbors as soon as possible. Soon, the dog will realize that your old home is no more, and learn to love the new property, particularly if you heed this advice when house hunting. ​I’ve been involved in the service dog world for several years now, and one thing that no one seems to talk about much is how to know when it is time to retire your service dog. This is something I’ve been discussing with quite a few people lately and it seems like no one can give me a clear answer. Ultimately it seems like this is a very personal, individual choice that is really just up to each individual handler. I started thinking about this a lot recently because I’ve come to the decision to retire my personal service dog, Basil. Since this is something that seems not to be discussed very often in the service dog world, I’ve decided to share my experience. This isn’t a decision I made overnight. In fact this is something I’ve been mulling over for quite a while now. This decision involved a lot of thought, prayer, and meditation, as well as discussing it with several friends and family members. ​The first thing that ultimately led to this decision had to do with myself. As many of you may know, Basil was trained to assist with some digestive diseases I have as well as to be a demo dog for my company. He has been an amazing help and I can’t even tell you how many times I’ve been so grateful to have him with me. He really has been a life saver. In January I hired a health coach. She has helped me create a whole new diet and lifestyle for myself. Before working with her I was getting sick on a nearly daily basis, having nausea attacks that would typically last anywhere from 30 minutes to several hours each time. Since working with her I only get sick a handful of times a month, typically only lasting 10-30 minutes each time. This has been a huge difference for me and things have been so much more manageable now. Because of this, I’ve hit a point that I just don’t feel justified in taking a service dog out with me. I really don’t need him anymore. I have encountered handlers who, while they may have needed their service dog in the past, have hit a point where they really don’t need a service dog anymore, but they continue to take the dog out because their whole identity is wrapped up in having a service dog. They no longer know how to be without one. I promised myself that I would never let that happen to me. I didn’t want to ever be the person who couldn’t stop taking my dog out with me because I didn’t know who I was anymore without the dog. Sure, I’m not looking forward to all the questions about why Basil isn’t with me anymore. It’s not going to be fun to deal with. But I know that it’s something I can do. Regardless of if I have a dog with me or not, I’m still me. ​What if it Comes Back? ​​​For a while I was concerned my disability would “cycle” and I would get really sick again. After all, it’s done that in the past, cycling every 1-2 months between pretty good and really awful. So I thought maybe I would continue to take Basil out with me just to make sure that he stayed up on all of his training. That way if I happened to get sick again, he would still be in working condition. But 2 months turned into 6 and the cycle never came. This has been the best I’ve ever done in years and no matter how I spin it, I’ve just felt that continuing to take Basil out with me was cheating the system. It’s very possible that one day my illness may cycle and I might end up getting really sick again, but I will cross that road when I come to it. For now, I’m just going to be grateful that my health is doing as well as it is. The final hammer on the nail that made me decide to go ahead and retire Basil had to do with Basil himself. Over the last couple of months he has lost all of his enthusiasm for work. Instead of jumping up and running to the door when I tell him it’s time to go somewhere, he just sits there and doesn’t move. What’s worse is that often times he will even run away when I pull his vest out. He’s gone from being a dog that was constantly wanting attention and invading people’s space to not wanting anyone but those closest to him to touch him at all. Whenever we were out working he just seemed stressed, anxious, and frustrated, which in turn caused me to be stressed, anxious and frustrated. We went from being a great service dog team to being a discombobulated mess. I think a big part of this is because he’s a Great Dane and he draws massive amounts of attention and harassment everywhere we go. I can’t take him anywhere without having people making comments wanting to pet him and grab at him, barking at us and making all kinds of obnoxious noises, etc. While it's normal to get this type of treatment when you're out with any service dog, it’s worse with him than any other service dog I’ve worked with. He’s also been attacked 5 times by other “service dogs” while out in public. I think another big reason is that he’s realized as well that I really just don’t need him with me anymore. When things shifted from me taking him out and him regularly helping me, to me just dragging him out without actually needing him, I think he just got tired of all the harassment. If I was still as sick as I was before and still actually used him to help me on a regular basis, he might have continued to do fine and “put up with it.” But as it is, he’s just done with it all. Whether you need a service dog with you or not, if your dog is no longer enjoying the work, it’s not fair to your dog to continue to drag him/her out with you. ​So Basil is now making the transition from service dog to pet. Originally I was planning to ease him out of it over the course of a few weeks, starting by leaving him home from his least favorite places (like Costco) and cutting out his favorite places (like restaurants and movie theaters) last. I thought that if I just stopped taking him places he would think he was in trouble. But after a few days leaving without him, he seemed much happier and more relaxed. It’s as if he knew before I did that it was time to retire and he was content to just be done. The retirement process is going to be different for each individual dog and handler, but the important part is listening to your dog and playing it by ear. ​Though retired, Basil will still do a lot of work as my demo dog, as he really enjoys working with other dogs. There are still plenty of pet-friendly places I can go with my clients that I can also take him to work. I will just no longer be working him out in public like a service dog. I am extremely grateful for the time I had with him as my service dog partner. I have been able to learn and grow so much during that time. I know that we still have lots of love and adventures to come in the future! A Service Animal, as defined by the Americans with Disabilities Act (ADA), is a dog that has been trained to do specific work or tasks for a person with a disability recognized by the ADA. The work or tasks trained must directly relate to and help alleviate the disability. These tasks, which are often life saving, aid the individual in living a more normal, independent lifestyle. Dogs whose sole purpose is for comfort or emotional support ARE NOT Service Animals under ADA Law, although they do have some rights under the Fair Housing Act. Therapy Dogs (working dogs that enter public facilities on invitation to comfort sick and/or elderly individuals, etc.) are also not Service Animals. Individuals with these animals DO NOT have the same rights of access as individuals with Service Animals. Individuals with psychiatric disabilities may still have a Service Animal if that animal is trained to perform actual physical tasks, such as recognizing a psychiatric episode and responding to it, performing room checks for individuals with PTSD, deep pressure therapy, etc. How can I tell if a Dog is a Service Animal? A responsible handler will have their Service Animal clearly marked, usually with a vest or bandanna that states the dog is a Service Animal. Keep in mind that this is not legally required and you will run into a handful of legitimate Service Animals that are not marked. These dogs should be well behaved, quiet, and not disturb others. They should not jump up on counters, chairs, or other surfaces and should not bark or jump up on people unless they are alerting to some type of medical condition. Businesses may ask two questions to determine whether a dog is actually a Service Animal: “Is the dog a Service Animal required for a disability?” and “What work or tasks is the dog trained to do?” It is not lawful to require identification or proof that the dog is a service animal and/or to ask any questions that might reveal information about the individual’s disability. ​It is illegal to distract a Service Animal. Do not talk to the Service Animal or make any sounds or noises directed at the Service Animal. Do not try to touch or pet the Service Animal and do not allow your children to approach the Service animal without the handler’s permission. Do not try to feed or give commands to the Service Animal. Don’t be offended if the handler doesn’t want you to pet their dog; they are trying to go about their life just as you are and they may be busy or may be in a hurry. In addition- though it may not be obvious, social greetings may prevent some dogs from doing their work and could be potentially dangerous to the handler. Mental illness in dogs is something that absolutely fascinates me. It's something I've studied and looked into quite a bit. It has only been very recently (within the last 5 years or so) that mental illness in dogs has been recognized by science and behavioral studies to be an actual thing. Doggy therapists actually exist now! While true mental illness in dogs is rather rare, it's something I've inadvertently encountered quite a bit and had to learn how to recognize and work with. I've worked with dogs with genetic anxiety disorders, I've encountered dogs with OCD, PTSD, Trichotillomania, and I even once encountered a dog that suffered from hallucinations. Note: If you have a dog with a mental disorder while medication can be an amazing resource to helping your dog overcome the issue, medication alone is NOT enough to treat the problem. There is still a lot of training and behavior modification (positive training methods are essential in these cases) that will be required to help your dog become a balanced, happy companion. Most mental illness usually doesn't start to occur until the dog hits 6-12 months of age (6-8 months being the most common for symptoms to start showing. Just as with humans in which mental illness most commonly doesn't occur until sometime between puberty and young adult-hood, mental illness in dogs also doesn't usually occur until adolescence. The following is a list of some of the most common mental illnesses found in dogs and symptoms to look for that go along with them. While your dog might "go crazy" for the frisbee, tennis ball, or laser pointer, this is very different from being obsessed with it (although frisbees, tennis balls, and laser pointers can all be triggers for obsessive compulsive behaviors). A dog with OCD will engage in a behavior or activity for hours on end. This can be anything from rolling a ball around in a specific way, chasing their tail, shadow or light chasing, and more. It can sometimes be very difficult to get the dog to disengage from the behavior. If you are able to get the dog to disengage from the behavior the dog will usually go right back to doing it again as soon as he is left to his own devises. Often times trying to distract or stop the dog from engaging in the behavior can cause the dog to become upset, distressed, or even aggressive. Medication will be required as part of the protocol for behavior modification with dogs suffering from Canine Obsessive Compulsive Disorder. This is an OCD related behavior that usually involves the obsessive grooming or scratching of oneself to the point of causing bodily harm. This may involve your dog obsessively licking her feet, tail, or legs to the point of them becoming raw and/or bloody, scratching at a specific place to the point of injuring herself, constantly rubbing along something causing hair loss, rashes, or cuts, etc. Medication is often required as part of the protocol for behavior modification with dogs suffering from Trichotillomania. 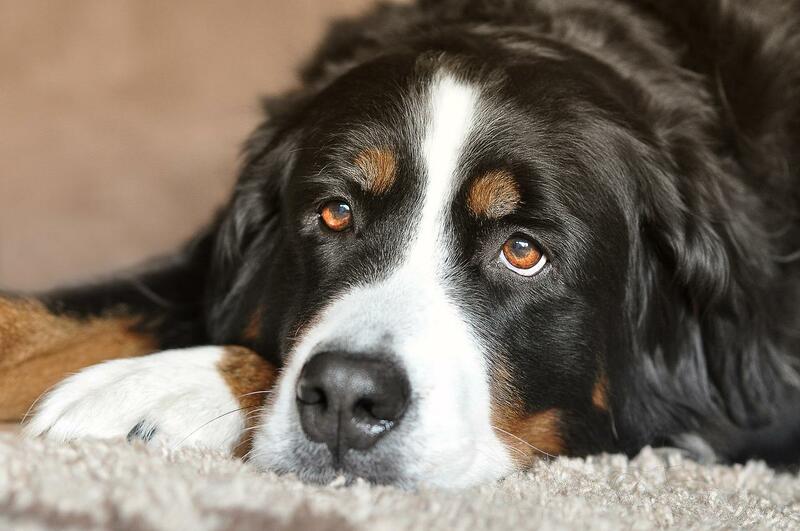 While basic depression in dogs can usually be resolved simply by increasing interaction, attention, and activity, a Depression Disorder is much more difficult to fix. The dog will often be lethargic, listless, and completely uninterested in his surroundings. The dog will have little to no interest in doing things he normally loves. Sometimes the dog may even lose interest in food and water, causing the dog to potentially become malnourished and dehydrated. Many owners will often think their dog is suffering from some sort of physical illness when the dog is actually struggling with Depression. Medication will be required as part of the protocol for behavior modification with dogs suffering from Depression. This is far more than just your run of the mill basic fears or anxiety in dogs which are usually caused from lack of socialization, lack of training, or a traumatic experience. This is anxiety caused from a chemical imbalance going on in the brain. Much of the time it is displayed as fear aggression, but not always. Most commonly there will be seemingly no trigger to cause the anxiety. It seems to just sort of crop up out of nowhere. At first you will find a lot of inconsistencies with the dog's fears. One day the dog will be afraid of something and the next day the dog is fine with it, or one day something that the dog loves the next day produces extreme fear. As the dog gets older these fears will usually settle onto one specific thing or things. You may find that sometimes these fears may even trigger what appear to be panic attacks. In my experience it is most commonly a fear of strangers or anything new. You will find that no amount of training and no training method seems to work to get the dog over the fear. The dog will constantly be in a state of taking 2 steps forward then 10 steps back. While an anxiety disorder can happen with any breed in my experience it is most commonly found in herding breeds, Australian Cattle Dogs or "Heelers" in particular. Medication will be required as part of the protocol for behavior modification with dogs suffering from a Genetic Anxiety Disorder. Phobias are a form of anxiety and are far more than just a basic "fear" of something. This is when the fears become so severe that they become debilitating or even dangerous. Dogs will often try to hide while the Phobia "trigger" is present and may even become aggressive if you try to get them to stop hiding. They will become suspicious of anything similar to or resembling the original Phobia and will often times become afraid of more and more things. Dogs exhibiting a Phobia of something have been know to do extremely dangerous things, such as running out into traffic or even jumping from a 3rd story window, in order to escape the fear. Thunder and fireworks tend to be the most common causes of Canine Phobias however a dog may develop a Phobia towards just about anything. In many cases Phobias can be overcome without the use of medication using the proper behavior modification protocols, however, in cases in which the dog is displaying dangerous behaviors in order to escape the Phobia trigger medication is highly recommended. This is another form of anxiety that is brought on by a traumatic experience. It is being discovered that many dogs coming out of police or military work are coming back with PTSD. Dogs coming from extremely abusive situations may also exhibit PTSD. Whatever the trigger that causes the PTSD you will find that the dog will develop a specific set of fears or phobias towards a specific thing(s). Some triggers may even cause what appear to be "flash backs" and panic attacks. Dogs with PTSD will usually exhibit a lot of the same symptoms as dogs with Genetic Anxiety Disorders or Phobias. In many cases Canine PTSD can be overcome without the use of medication using the proper behavior modification protocols, however, in many cases medication may be found necessary to help the dog cope and fully overcome the issue. As many of you know, I myself have a dog (Suki) that suffers from a genetic anxiety disorder. It it weren't for her, I probably never would have taken such an interest in this subject. I worked with several other trainers and tried every training method imaginable before I finally had to accept that her issue couldn't be fixed with training alone. I ended up having to put her on "doggy Prozac." It didn't fix the problem, but it got the problem to a point where it was workable. She has made so much progress and come such a long way, however, since this isn't a behavioral issue, it's a mental issue, it is something I will have to work on with her for life. I have learned so much from her and even though she is far from being the easiest dog in the world to own (everything in her life has to be carefully managed), I wouldn't trade her for anything and hope to have her for many more years to come!